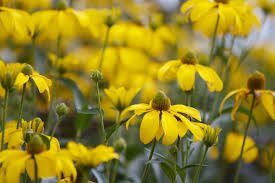 A magnificent, very tall (6ft or more) Rudbeckia is a great choice for the back of the border. The large, bright yellow blooms have lime green cones and are borne on straight stems clothed in dark green foliage. A beautiful cut flower. Categories: Autumn, Featured Plants, Plants A-Z, Plants by Season, Plants In Situ, R-T, Summer, The Hot Border, The Yellow Garden. Tag: Buy 2 get a third FREE!.